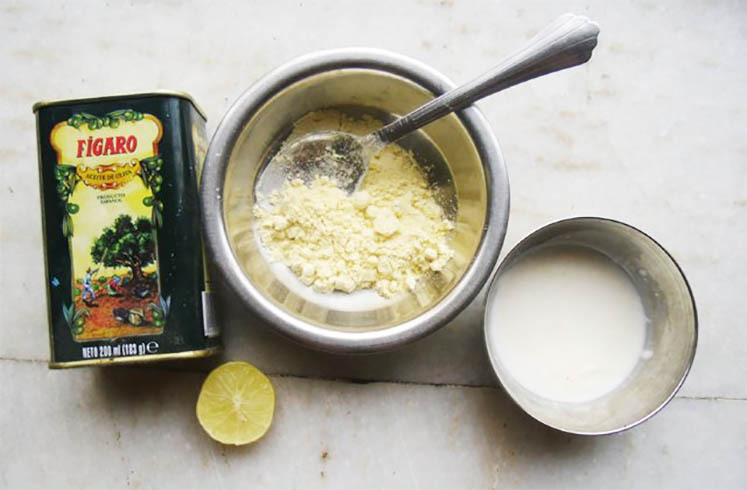 This winter learn how to make your own beauty products using gram flour. Now, save money and get the best results! Gram flour (‘besan’ in Hindi), is a pulse flour obtained by grinding chick peas or chana dal. Besan or gram flour has been traditionally used extensively for its beauty and health benefits. It is mainly used to cleanse and exfoliate the skin. It can also be used as a hair pack. Lovers of natural beauty products rave about its skin-whitening benefits and how it also reduces acne and inflammations and keeps the skin clear. Besan is used in pre-wedding grooming treatment to add glow because of the amazing results it gives. Brides, as well as babies, are often treated to oil massages followed by a body scrub made from gram flour, rice flour, almonds, milk, and turmeric to keep skin infections at bay and also make the skin soft and naturally glowing. Besan is a versatile, natural skin care product that can be used with milk, yogurt, honey, sugar, rose water and many more ingredients to help improve your skin. 1. A skin-whitening mask: Mix gram flour with either raw milk or curd and the juice of half a lemon to make a mask and apply on your face. On continuous use, the skin becomes fair, smooth and flawless. Gram flour’s cleansing properties rid the skin of impurities and dirt, leaving your skin squeaky clean and fresh. 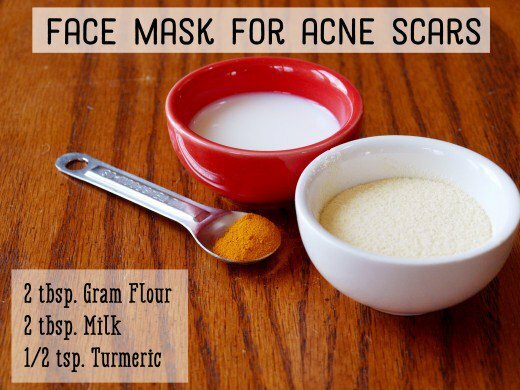 You can also use this natural face mask on your whole body at least twice a week. 2. Gram flour and turmeric acne cream: The creamy texture of this product penetrates the skin to minimize and eve eliminate acne scars. 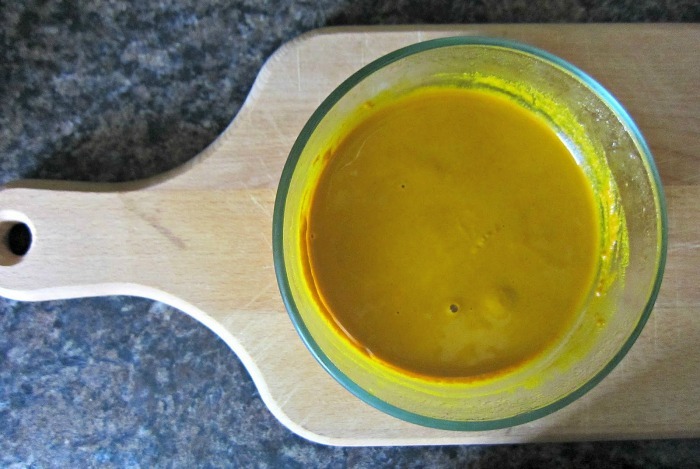 Adding turmeric to this gram flour face mask is good for acne-prone skin and can help to lighten any acne scars. It can also be applied all over the body to remove dark spots caused by the sun and will leave your skin feeling brighter. 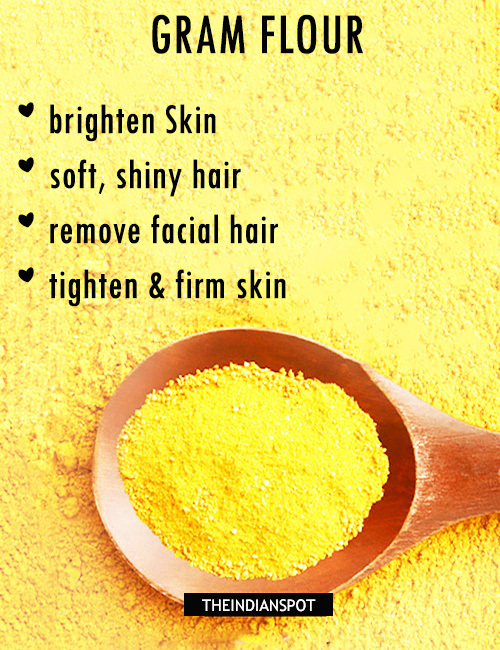 Mix the 2 tablespoons gram flour, 2 tablespoons fresh milk and 1/2 teaspoon turmeric powder well until you have a fine paste and apply to face and neck. Leave the paste on for 20-30 minutes before washing off with lukewarm water. 3. Gram flour body scrub: Indulge in a homemade body scrub that is free from all the harsh chemicals found in soaps/body wash. 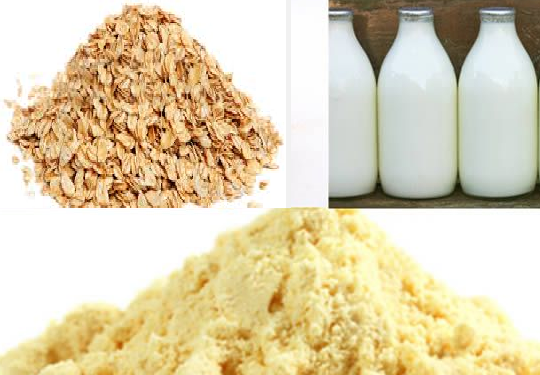 Mix 3 teaspoons of besan, 1 teaspoon of grounded oats and 2 teaspoons of corn flour along with a little raw milk. Apply the mixture on your body and gently scrub. This is an excellent body scrub which removes dead cells, excess sebum and dirt quite effectively. It gives you a clean and smooth skin. 4. 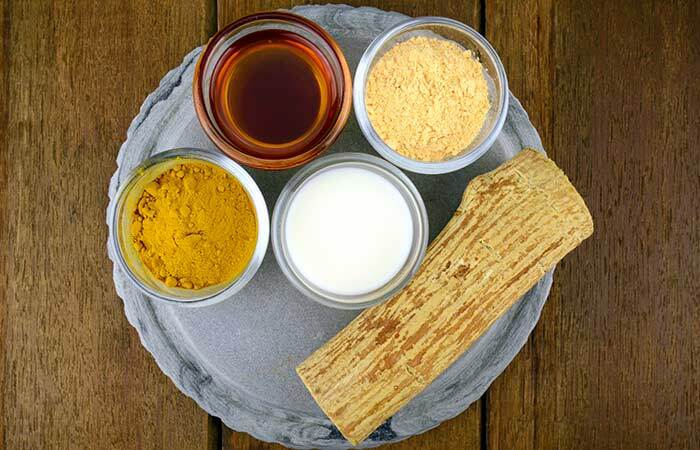 Nourishing hair pack: Make a nourishing hair pack by mixing gram flour, lemon juice, milk and a teaspoon of olive oil. If you have dry and damaged hair, add 1-2 capsules of vitamin E oil or pure almond oil. Apply it and rinse with cold water after it dries. Repeat it twice a week. 5. Oil-eliminating face mask: Beat one egg white and add 2 tablespoons of besan to make it into a mask. Apply this mask for 15 minutes and wash it off with cold water. Using this pack twice a week will help control excessive oiliness of the skin. How does gram flour help? Gram flour controls oil secretion and absorbs excess oil and sebum. The alkalizing properties of gram flour maintain the pH level of the skin. It removes dirt and toxins from the deeper layer of the skin to enhance the natural glow. It helps to regulate the moisture, nourish and keep the skin soft and supple. The natural exfoliating properties of gram flour remove dead skin and encourage new cell production. It replenishes the skin and closes opened pores, also helping to lighten skin. It has anti-aging properties and also helps to tighten sagging skin.